The 16th International Architecture Show at Biennale di Venezia "FREESPACE" curated by architects Yvonne Farrell and Shelley McNamara approaches, and here are some previews of the pavilions visitors will be able to tour. Kenneth Frampton, architect, historian, critic, teacher and scholar, is the winner of the Golden Lion Lifetime Achievement Award at the XVI edition of the international architecture exhibition of the Venice Biennale. The awards ceremony will take place on 26th May at the opening of the 2018 edition. The year has started off with a lot of architecture by women, including Sandra Barclay, Gloria Cabral, Yvonne Farrell and Shelley McNamara, Frida Escobedo, Li Xiang and Sevil Peach. 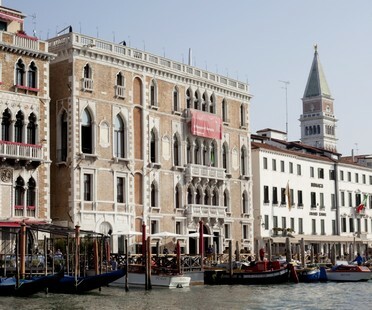 From the Central Pavilion to the Gardens and the Arsenale, 71 participants bring the FREESPACE exhibition to life, but there is a lot more in store for us at the 16th International Architecture exhibition at the Biennale in Venice, curated by Yvonne Farrell and Shelley McNamara.